To play the D suspended-4th chord, start with the D major chord. Place your pinky finger on the High E string, third fret. 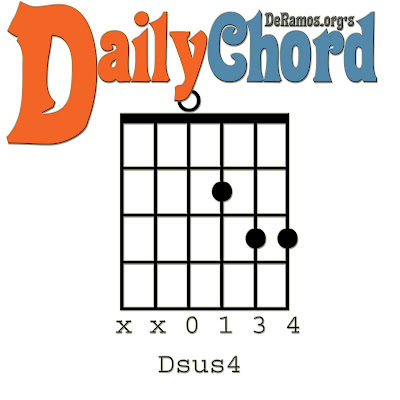 Now play the Dsus4 chord. Also try to fret the chord from the D minor chord position!